There are all kinds of adrenaline rushes around the world that present a variety of stunts, rides and thrills to keep you entertained for weeks at a stretch. Bookmundi compiled a list of the top adrenaline rushes and adventures in Africa to give you a taste of the kind of excitement that the continent has in store for you. 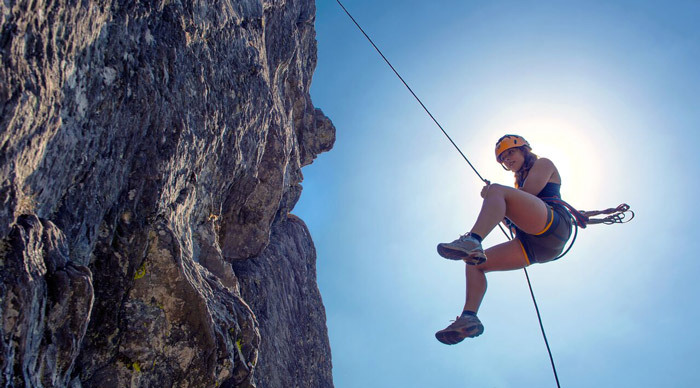 What follows next are 10 blood-pumping, heart-pounding, faith-affirming activities that get you into throw-your-self-off-the-cliff-and-come-back-alive kind of buzz!! Climbing all the way up to the summit of Mt. Kilimanjaro is one of the most rewarding experiences that Mother Nature has on offer. 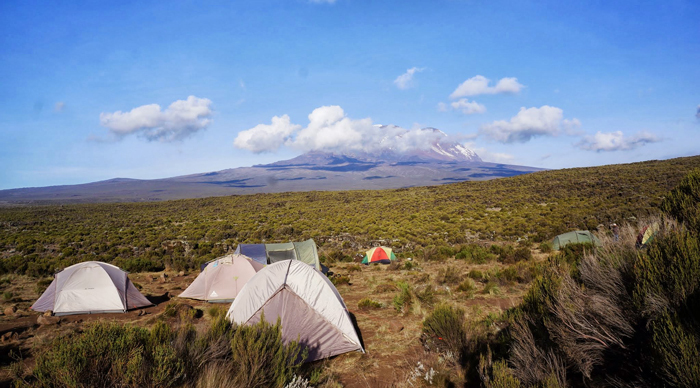 Despite being the highest free-standing mountain in the world and the tallest mountain of Africa, Mount Kilimanjaro presents a level of challenges that interest all types of climbers. The surroundings change between four climatic zones and the views become incredibly spectacular as you gain elevation. Think sub-Saharan Africa where valleys are engulfed in clouds and moonlight dances off summit glaciers. 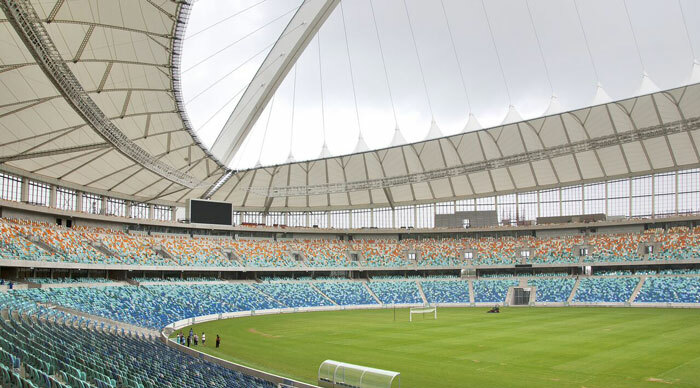 The Moses Mabhida Stadium in Durban is the only stadium on the planet that has a stadium swing. Considered to be a must-do for adrenaline junkies, the Big Rush Big Swing lets you leap 106 m above that 2010 World Cup pitch, enjoy a 60 m free fall and speed through the air at speeds of 120 km/ h. To end the perfect experience, you swing in a huge arc over the football pitch. Sun City is the place to be for the longest and fastest zip line in Africa. 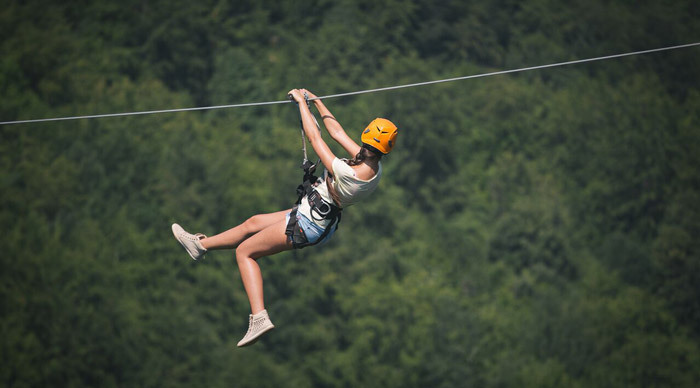 A convenient option for lazy adrenaline searchers, zip slides let you whisk your bodies at speeds of 120 km/ h down a stretch of 2000 m (yes, 2000 meters!). What makes this trip even more special is that you start your descent at a crazy height of 900 ft.
Immobilization safaris are perhaps the best ways to get closer to animals of the bush, and if you’re lucky enough, you get to personally treat one of the big 5. These vet safaris let travelers attain hands-on experience assisting vets in the practice of conservation. In involves fitting tracking collars, performing health checks and monitoring contraception and pregnancies. And better yet, it looks good on that all-important CV as well. Between the months of September to December, the Zambezi River records high levels of water. This is when it reveals a naturally-occurring infinity pool right at the edge of the largest waterfall in Africa. You can hire a guide to take you to this magical spot and jump right in. It’s considered to be one of the most thrilling and beautiful experiences you’ll ever experience in Africa. And if you’re successful in conquering Devil’s Pool, cross the bridge to the Zimbabwean side of the falls to enjoy some bungee jumping and a wildlife trek. 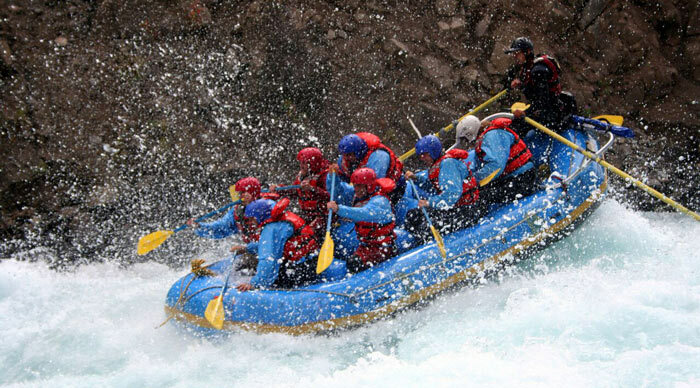 Considered to be one of the most legendary destinations for white water rafting enthusiasts, the Zambezi River is home to some of the greatest Grade 5 rapids in the world. Come face to face with the Oblivion and experience first-hand the crazy adventure better known as Morning Glory. And while you’re busy with your white water rafting adventure, you always have crocodiles and hippos to give you company.!. The ideal time to visit the Zambezi River is between the months of January to February and September to October. Standing on top of the Table Mountain at a height of 3558 feet is a rewarding experience in itself. So why not go that extra mile to enjoy a ride in the highest commercial abseil on the planet! With views that are worth dying for, this is one of the most scenic abseils on the planet. It would be really silly to visit Cape Town and not enjoy the Table Mountain Abseil, if you dare! For sure, we dare you to do it! 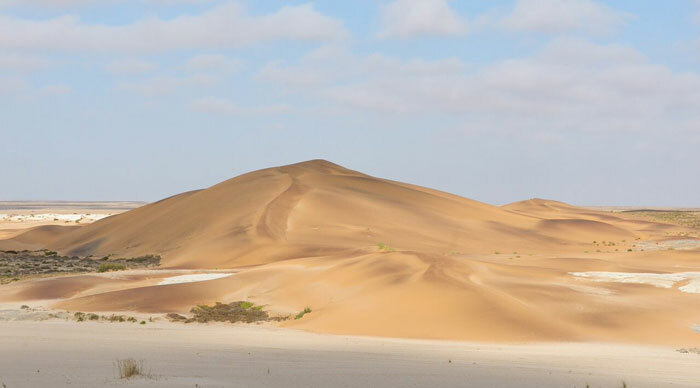 Swakopmund’s humongous sand dunes offer the perfect terrains that let you enjoy sandboarding at its very best. The place offers six different slopes and two unique styles to choose from. You can actually lie down on your board and plunge headfirst into the silky soft dunes or you can stand up on your board and surf your way down. Irrespective of which option you choose, you will be touching the 80 km/ h mark with relative ease (again, yes, speeds of 80 kms on a simple sand-board!). 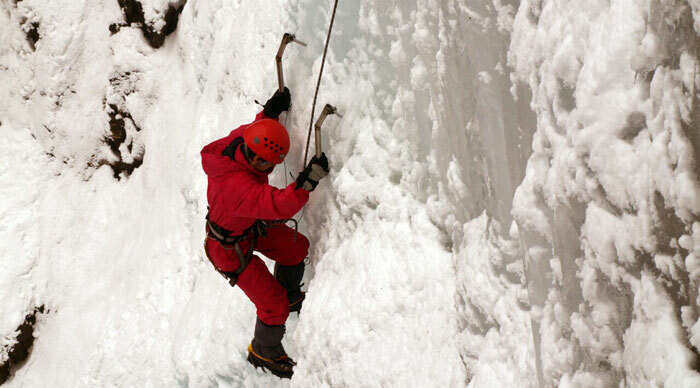 Come to terms with an ice climbing experience at the Natal Drakensberg mountain range, the highest and the most beautiful ice climbing experience that Africa has to offer. The ice starts forming around mid-June, so you can expect to embark on your adventures after August. The range has three major routes. Beginners should stick to the Rhino Peak and Sani Pass routes, but seasoned pros would find the Giant’s Castle pass to offer a more challenging climb. Snowboarding feels so old-fashioned. After all, so many people have already done it. It’s been floated all over the social media and it just doesn’t feel exciting anymore. So how about taking on some volcano boarding? Considered to be the most extreme way of sliding down a slope, this incredible adventure lets you slide down the slopes of a live volcano which erupted as recently as 1999. Nicaragua has become a hotspot for extreme boarders and you can easily reach speeds of 80 km/ h on the volcano’s slopes. A trip to Soweto lets you enjoy this crazy adrenaline rush. The old towers of the disused Orlando power station offer the perfect venue for adventure enthusiasts to plummet 100m towards the ground. The activity is only available for those who weigh lesser than 110 kg. and those above 18 years of age. 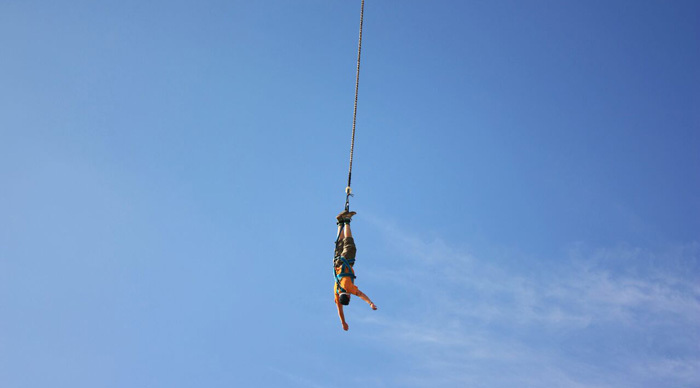 And even if bungee jumping doesn’t sound exciting, you can try your hand at power swings or abseiling. There’s a viewing platform up top as well! With so many adrenaline rushes and adventures to choose from, Africa certainly has more than enough activities to keep you entertained for a while. The most obvious choice for adrenaline-pumping activities is South Africa, but places like Nicaragua, Tanzania, Namibia and Zambia are no pushovers either. Plan your itineraries to include activities you’re interested in and you’re sure to enjoy the perfect and adrenaline pumping African adventure. And if you’re still confused, Bookmundi helps you choose from the best tours and activities in Africa. Great Post . Really really liked it!